Case Examples — Hayes+Associates, Inc. Whether the case involves a catastrophic bus rollover, a low speed rear end collision, a tractor trailer operating at highway speeds, or interactions between vehicles and pedestrians or cyclists, H+A's approach involves analyses of: 1) the severity of the collision (accident reconstruction); 2) the motions and forces imposed on the human body (impact biomechanics); and 3) a comparison of the forces and motions on the body against injury thresholds (injury biomechanics). Injury causation is then assessed based on: 1) A reliable biomechanical mechanism; 2) timing of the symptoms; 3) objective evidence of injury; and 4) examination of alternative causes. We use state of the art tools for scene visualization (laser scanning, drone flyovers), collision reconstruction (laser scanning of crush, HVE crash reconstruction and simulation, and CDR downloads), and GATB multilink human biodynamic models. Premises safety analysis at H+A begins, as in many other of our practice areas, with a scientifically reliable reconstruction of the event that resulted in the claim. The reconstruction is then followed by a comprehensive review of applicable codes, standards and best practices to determine if design or maintenance practices are the direct cause of the claimed injuries and if reasonable design and maintenance alternatives are available. We use laser scanning and 3D reconstruction of the premises, English XL slip testing of walking surfaces, validated lighting measurements of luminance, illuminance and contrast ratios, and 3D anatomic reconstruction of the injuries to evaluate these claims. At H+A, we have found it useful to consider falls as including four, potentially overlapping phases: 1) Initiation; 2) descent; 3) impact; and 4) post-impact (when the faller comes to rest). A reliable fall reconstruction must produce the injuries sustained (and not injuries that were not), the position of rest of the faller, must follow both the laws of physics and what is known about fall biomechanics, and must comport, to the extent possible with testimony and the facts of the case. These approaches apply whether the fall is a simple fall from standing height, initiated by a foreign substance on the floor, to a push from the top of a cliff, resulting in impact to rocks hundreds of feet below. At H+A, the identification of design defects and a determination of their role in the causation of injuries also begins with a scientifically reliable reconstruction of the event leading to the claim. If the claim involves an implantable medical device, it is important to recognize that the clinical performance of such devices involves a complex interplay between surgeon-, patient- and implant related factors. Similarly, with other engineered products, one must examine interrelated issues involving design & manufacture, human use, and the potential for injury or death. It is our experience, that the injuries themselves serve as a kind of signature to the roles of the products and circumstances that cause them. These are often not comprehensively considered in the design and development process and provide for H+A a unique perspective on the analysis of products cases. Was the forklift driver’s catastrophic neck injury caused by a flooring defect? 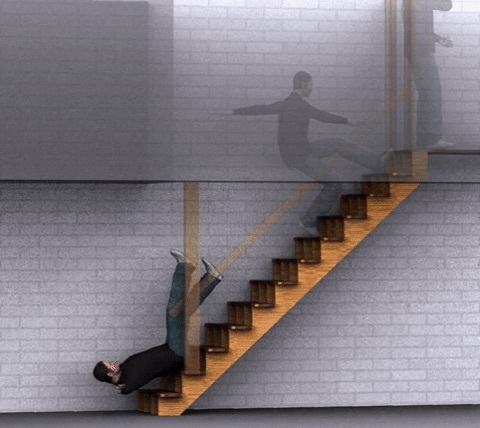 Were the fall and its associated injuries caused by a failure to provide a gangway? What was the root cause of the worker’s skull fractures? Were the railroad worker’s head, neck and spine injuries caused by a defective locomotive engine door? Was engineer's torn rotator cuff caused by a casting defect in the plastic handle of a locomotive window? Work place injuries are analyzed at H+A using the same paradigm as with injuries that occur in any other setting. We begin with a scientifically reliable reconstruction of the work-related event for which injuries are claimed or are known to have occurred. What often differs for work-related injuries are that they frequently involve repetitively applied loads to muscles and joint tissues and produce conditions that are sometimes difficult to distinguish from the degenerative changes of normal aging. Even for those work injuries that are acute in nature, it is important to distinguish between the forces applied to the body on the job and those that are applied during the activities of daily living, including recreation and sports. In this setting it is particularly important to take advantage of the scientific developments in ergonomics and human factors that help define the safe ranges and injury thresholds for such activities as lifting, carrying, and using tools. For case involving sports and recreational injuries and or equipment, H+A's approach incorporates analyses of: 1) the event and/or equipment involved; 2) the motions and forces imposed on the participant; and 3) a comparison of the forces and motions on the body against recognized injury thresholds. We have conducted standard tests of bicycle and motorcycle helmets and used high speed videography for the analysis of running shoes and their effect on the body. We have access to state of the art tools for 3D motion capture, gait analysis and biodynamic modeling and have brought these methods to bear on injuries, both minor and catastrophic, and both acute and repetitive, involving skiing and snowboarding, diving, team sports, cycling, trampoline, weightlifting and many others. Our patent litigation practice at H+A, involving both analyses of validity and infringement, benefits from Dr. Hayes's more than 40 year career in academic research and teaching in orthopedics, biomechanics, mechanical engineering and clinical medicine. He is the author of over 200 peer-reviewed publications,, several books and more than 60 book chapters, with much of his published work involving orthopedic and other implantable medical devices, Dr. Hayes is also the holder of 10 patents and has testified for both plaintiffs and defendants in over 8 patent trials. We also have an in-house laboratory for the mechanical testing of both animal and human tissues,and their interactions with orthopedic and other implantable devices. We make use of in-house stereozoom microscopy, profilometry, and have access to micro computed tomopgraphy and scanning electron microscopy through Oregon State University. Whether cases arise in the criminal or the civil courts, those that involve injuries or claimed injuries must be analyzed based on: 1) a scientifically reliable reconstruction of the event (e.g. an assault involving a weapon or vehicle), including a detailed characterization of the wounds or injuries involved (e.g. the path of the bullet through the anatomy); and 2) an understanding of the forces necessary to cause those wounds and injuries. Our extensive experience in the reconstruction of human anatomy in 3D and our ability to relate that anatomy to comparable characterizations of the surrounding environment (e.g. a vehicle, a building interior or a neighborhood, puts us in a unique position to relate the locations and positions of the involved parties and thereby help resolve disputed case facts. We have used these methods in assaults and homicides involving a variety of weapons (including bare fists), police involved shootings; restraint conditions; child abuse; assisted falls from heights; and vehicular assaults. Did driver willfully brake in front of cyclists? Did cyclists have time to avoid impact? Was decedent driving directly at police officer when he was shot? 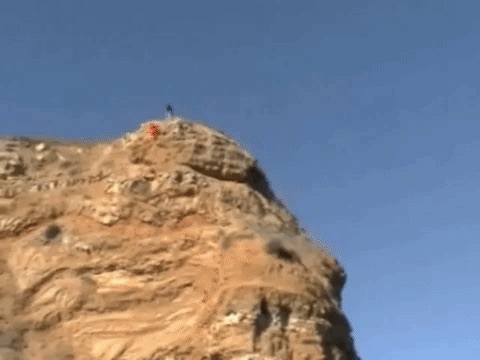 Was a 4 year old girl intentionally thrown from a cliff or did she fall? Is “shaken baby syndrome” a scientifically reliable explanation for head trauma in an infant?